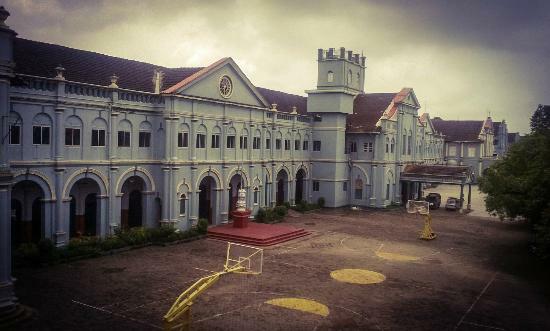 We, the Ex-students of the St Aloysius Institutions, Mangalore have resolved to form ourselves into a registered Association so as to bring together all the Alumni of our Alma Mater and accordingly have resolved to register our Association and have it called as the St Aloysius College Alumni Association. As an old student of St. Aloysius Institutions, you may want to get in touch with your batchmates, old friends, your teachers who were old students of St. Aloysius. You can reminisce, exchange news, renew friendships, perhaps even form business associations. Becoming a member gives you access to a database of old students of your college, you can chat with them online, you can form communities, you can upload photos, participate in forums and much more. If you are already a member you can sign in directly, if you are not a member, then send in your details through the registration form below. To create an awareness among new generations of Aloysian Alumni that they have the obligation to work for the betterment of their less privileged brothers and sisters, and to train them to strive for a just and equitable social order. The benefits of the Association shall be open to all irrespective of caste, creed or religion. MEMBERSHIP : The membership of the Association shall be open to the following persons. The membership number will be issued and will be communicated to you once the details given by you are verified & the membership fees is credited to the SACAA account. Misuse of data and images from the college website is not permitted. Serious legal action would be initiated against the miscreants. St Aloysius College was built in 1882. The southern wing of the building formed the Chapel as a place of prayer for students. The Chapel built in 1885 by Rev Father Joseph Willy, is a replica of world renowned Sistine Chapel at Rome. Disclaimer : Misuse of data and images from the college website is not permitted. Serious legal action would be initiated against the miscreants.